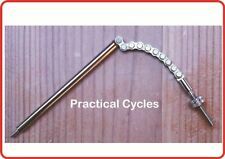 Including All Thread 125mm long - suitable for 3 & 5 speeds. I work very hard to maintain 100% Service. I work very hard to maintain 100% Service. Including All Thread 135mm long - suitable for 3 & 5 speeds. I work very hard to maintain 100% Service. 1 Supplied Per Order. 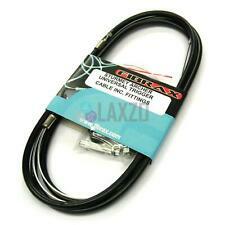 1 x SP4 outer gear cable casing 4mm wide, 1375mm long. 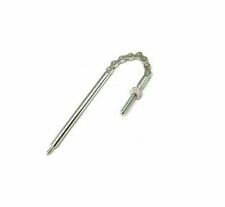 1 x Galvanised universal inner gear cable 1.2mm wide, 1580mm long. 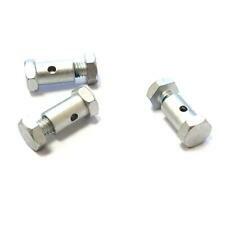 2 x Alloy crimp on inner cable ends. 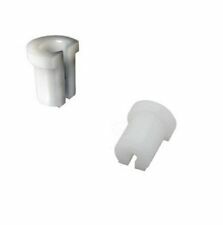 2 x Alloy outer cable ends. Zero compression system with great weatherproofing. FOR OLD TYPE 3 SPEED CYCLES. Ecrou guide de roue arriere. Including Thread 133mm long - suitable for 3 & 5 speeds. I work very hard to maintain 100% Service. 1 Supplied Per Order. VINTAGE RALEIGH/VéLO RUDGE STURMEY ARCHER Dynamo Head Light! GOOD REFLECTOR! Correct (frosted) bulb fitted. BICYCLE BRASS WIRE CONNECTORS ( FERRULES ) x4. IN FULL WORKING ORDER. I work very hard to maintain 100% Service. One Supplied Per Order. STANDARD FITTING HANDLE BAR CLIP. SWITCH FOR DYNAMO - BATTERY - OFF. REMOVED FROM A 1958' RALEIGH SUPERBE BICYCLE. IN FULL WORKING CONDITION. SORRY ONLY EXCEPTION IS COMPLETE BIKES AS WE CANNOT SEND MORE THAN ONE IN A SINGLE PARCEL. REMOVED FROM A 60's RALEIGH BICYCLE. HUB SPACING APPROX. IN FULL WORKING CONDITION. 3 Speed Traditional Gear Shifter. Including All Thread 120mm long ( pin length with thread 40mm). these are for modern hubs the pin is thinner on modern hubs. REMOVED FROM A 70's' RALEIGH BICYCLE. Blur mark not on the item itself. Genuine period advert from 1920. 3 speed gear advert. Not a copy or modern repro'. 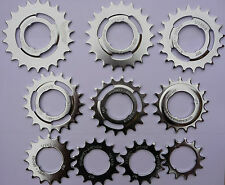 Nos Chrome Frein Sturmey Archer caplier Levier Set Raleigh Dawes? 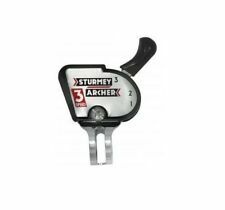 New old stock Sturmey Archer brake caliper assembly in chrome. Part no. PKB 157. Included is a lever and white inner outer cables. On the box its written "Gents rear" In excellect condition but box is well worn. 3 SPEED GEAR PULLEY CABLE TRIGGER. CLAMP TO FIT ON END. BLACK OUTER CABLE LENGTH 550MM. Gear Selector Guide. Makes 5 speed gear changes smooth. 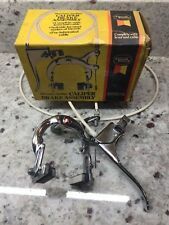 NOS Chrome Sturmey Archer Brake Caplier lever set Raleigh Dawes? vintage STURMEY ARCHER 1950s 4 speed gear lever.